Silky, mineral enriched formula of blush for easy application! Velvety smooth texture cream to powder texture. Cool pink with flicks of golden glow. 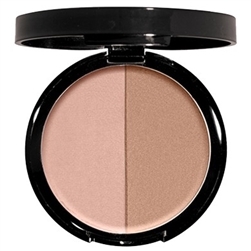 Convenience of having both soft coral blush and bronzer all in one compact palette!